Just to celebrate, I thought I would post my short piece, titled Death’s Shadow. 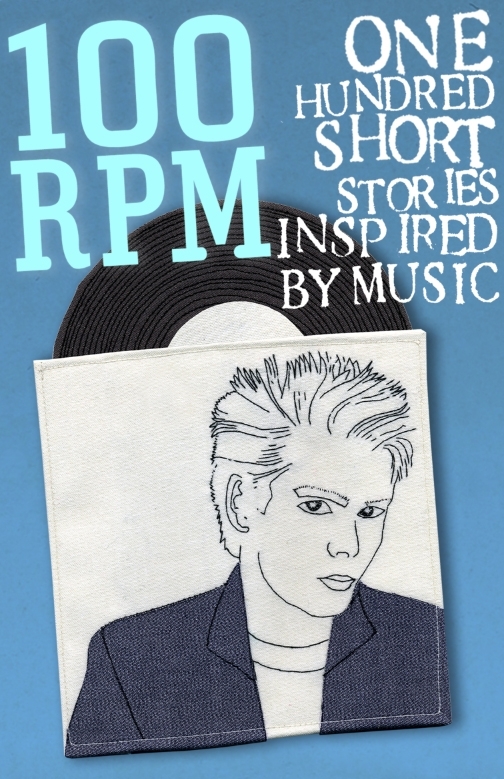 It’s available now in the collection 100 RPM: One Hundred Stories inspired by Music. It’s a fantastic collection. Tales so short you can eat them like candy for bed, but they will stay with you well into the daylight hours. There is even some music for you to listen to at the end, the song that inspired the piece. Each story in 100 RPM is told in words, but came from an idea inspired by a song. Tres cool non? Even better, each story is told in 100 words, tiny bite sized short stories, even episodes, you can read anytime, anywhere. Upon waking, she spoke: “Is there a word for what I am?” She glanced at him, her eyes red with unshed blood. “What have you done to me?” She asked. Welcome to the new blog! Why a new blog you ask? Well, I LOVE Tumblr, but I really wanted something with a bit more panache and a bit more functionality. This blog will allow readers to comment, an easier interface and it just looks darn cool. Don’t worry though. I’m keeping my Tumblr blog as it is so you can always go back and check it whenever you’d like. But this new blog will allow me to interact with readers more and a bit more flexibility in how I post. So click away and enjoy! And welcome to the new blog!